How much does it cost? $50 per hour. Our classes are 2 hours per week for a total of $100 per week. Please note that our fees have increased this year (after 8 years of staying the same) due to increased expenses. What do I need to pay when I register? To register, you will need to pay a one-time registration fee of $45 on Eventbrite. Upon registration, you will also be charged for the number of weeks that your child will attend until the next regular billing cycle. For example, if your child will attend one week before the next regular billing cycle, then you will be charged $100. After this initial pro-rata charge, you will be billed every 4 sessions. $45 Registration Fee. Please register online by clicking on the “Register” button to reserve your child’s spot in the class and pay the $45 registration fee. The registration fee is nonrefundable. After you pay the registration fee on Eventbrite, the system will automatically direct you to the Registration Form. Complete the Registration Form. After you pay the registration fee, the registration system will automatically direct you to the Registration Form. The Registration Form will require parent’s contact information, student information, and the credit card authorization for the recurring 4-session payments. Your registration will not be accepted until the Registration Form is completed and submitted. Upon registration, you will also be charged for the number of weeks that your child will attend until the next regular billing cycle. For example, if your child will attend one week before the next regular billing cycle, then you will be charged $100. After this initial pro-rata charge, you will be billed every 4 sessions. Also, please note that our fees have increased this year to $50 per hour. After you pay the registration fee and complete the registration form, we will send a Welcome Email within 2 to 3 days to confirm your child’s enrollment in our program. What are the terms of service? When you register you must agree to our Instructional Agreement. Please review it carefully. You may also download a pdf copy of the Instructional Agreement. How do I pay for the fees? Our billing cycle is every 4 sessions (not every four weeks). You will not be billed for holiday weeks. Every 4-session period, we will automatically bill your credit card for the next 4 sessions. Do I have to pay by credit card? Yes, and we do require a credit card to be kept on file for automatic billing. The online credit card form is secured by SSL protocol and data encryption through Formstack. Do you offer sibling discounts? Yes. For students with siblings in our program, the hourly rate is $45 for the additional sibling. For example, if there are 2 children from one family, one child will be at $50 per hour and the sibling will be at the reduced rate of $45 per hour. What is the class size? Up to 8 or 9 students. However, some classes could be larger. How do I get on the waitlist if the class is full? To be put on a waitlist for any of our classes, please submit a waitlist request and provide the requested information. During the beginning of the academic year, we are always adding new classes so please submit a waitlist request. We will pull students off the waitlist first when we open new classes. Is there a minimum contract period? There is no minimum contract period. We do not obligate you to any long term contract, but you must give 30 days prior written notice to withdraw from classes. What is your absence policy? There are NO REFUNDS for absences. However, you may email us at info@brwi.org to request a make-up class for another day during the same week. Make-up classes are not guaranteed and are subject to availability. What if I am late to pickup my child? As stated in our Instructional Agreement, if the student in not picked up within 15 minutes after the end of class, there will be a $25 fee for each occurrence. Is there homework? Students at Bridges will not receive any homework. All work is done at Bridges. How many times a week does my child have class at Bridges? 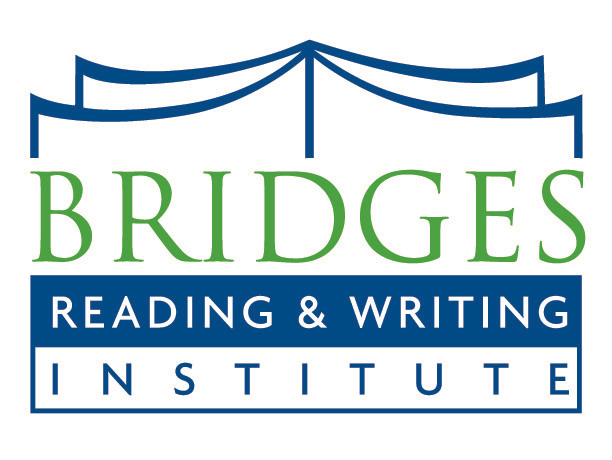 Students come to Bridges once a week. Can my child bring a snack to Bridges? In consideration of some of our students that have severe food allergies that could be life-threatening, we have a strict NO SNACK policy. Do you require an assessment prior to registration? No, an assessment is not required prior to registration. It is only necessary for students with reading & writing skills significantly below grade level. If you have any questions, or would like to discuss your child’s reading & writing skills, we offer free consultations with our education director. Please submit a request by click on the Questions tab on the bottom of the page.